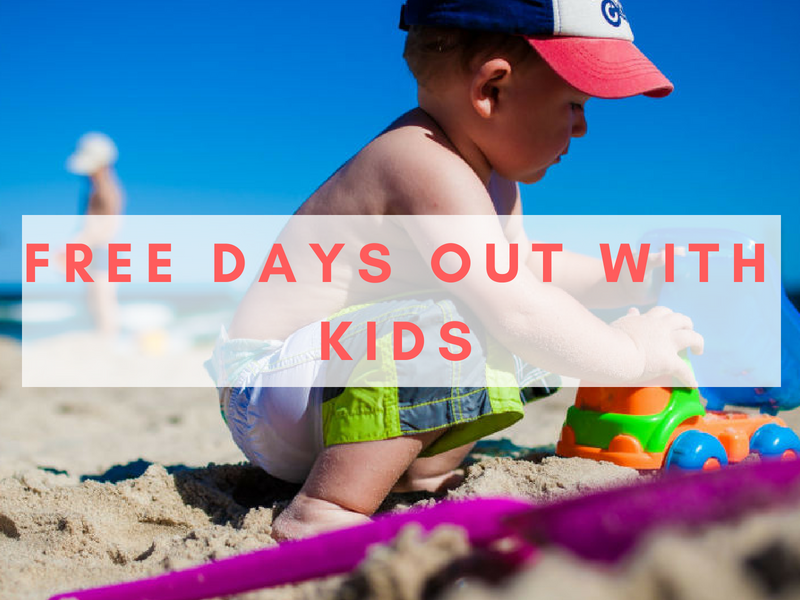 Every parent dreams of free days out with kids instead of having to spend a fortune at theme parks or zoos especially during long school holidays where there are so many days to fill with activities. The worry is that a free day out will be dull or seem ‘budget’ compared to the excitement of the big ticket attractions. 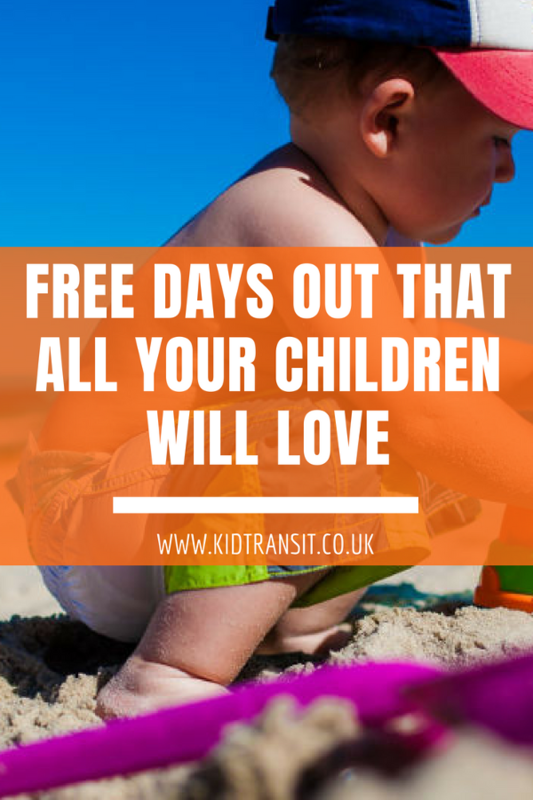 Don’t worry though- all these ideas for free days out with kids will be just as good and fun packed as a theme park as long as a little bit of prep is put in beforehand. Nothing will be completely free so remember to budget for petrol/ travel and lunches if your money is really tight. If you really can’t stretch to leaving home there is even an idea for a ‘day out’ that is really a ‘day in’! These trips might not appeal to older children in your family but the little ones will love it. Sounds unlikely if you haven’t been to one recently but the garden centre can be an easy few hours of fun for small kids. Quite a few of the big garden centres will have soft plays or outside play areas that are free to use and some also have a small pets or aquatics centre. Just looking at all the plants can while away some time. For the small outlay of a cup of tea and a scone, you can also spend a bit of time in the cafe which they almost always have. Some garden centres also hold events or even have children’s clubs that are free for young children. Take a look at the links below to find out if there’s something on near you. A visit to the local pet shop is a great way to get kids involved with animals without having to pay to visit a farm centre. Some smaller shops may let your little one stroke or hold the animals in return for a small donation. Larger pet stores also run clubs or events for children to go to, take a look at the link below to see if your nearest store runs an event. These days out should suit all ages of children just make sure you put a bit of prep in so you can all have a really good day out. I know you visit the park every week anyway, what makes this any better than those visits. Well, you just need to use your imagination (and your kids) to turn it into a special (and free) day out. Find a park that has a few different things to do so you can definitely stay all day. 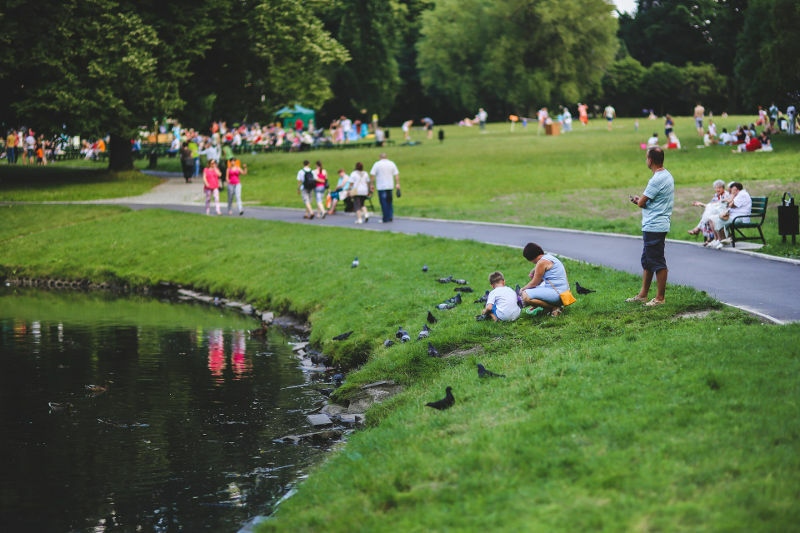 We have parks nearby that have a playground for all ages of kids, lots of green space, pond with ducks to feed, gardens to play hide and seek in and even animals and an aviary to visit. They also have good toilet facilities as well as somewhere to buy a drink or an ice cream. To make it into a brilliant day out remember to take along a tasty picnic (don’t forget the rug) and all the things they might want to play with. The number of times I’ve forgotten to take a ball/ scooter/ dolls buggy which would have made the park visit even better. Print out (or design your own) scavenger hunts to give your kids something to do when they’ve finally come off the swings. If your kids are a bit older you can send them off to hunt on their own with a camera to take photos of the things they find. You can get younger kids collecting leaves (best in Autumn) for crafts later on in the day- making leaf animals and doing rubbings are favourites in our house. If it’s been wet out then take wellies and waterproofs so you can enjoy some puddle jumping and find things to sail in bigger puddles. Depending on how many kids you’re entertaining you can set up bigger games such as rounders, cricket or football to keep them happy for a bit longer. A lot of local parks will have events running during school holidays and weekends so make sure you keep up to date with your local council events page to find out all the free things that are on. This one is only a cheap day out if you live near the coast but if you’re going on holiday near a beach then keep reading for tips on how to keep it fun as well as low cost. 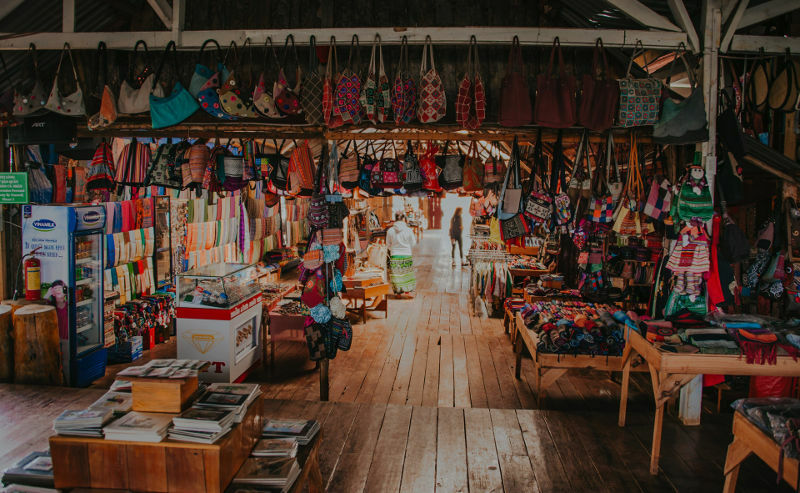 While there are lots of things at a seaside resort that can cost money you can make this a great day out for very little money. Take a picnic with you- if you get your kids to help you make a few bits the day before they will be even more likely to eat it when you get there instead of badgering you for more expensive options. 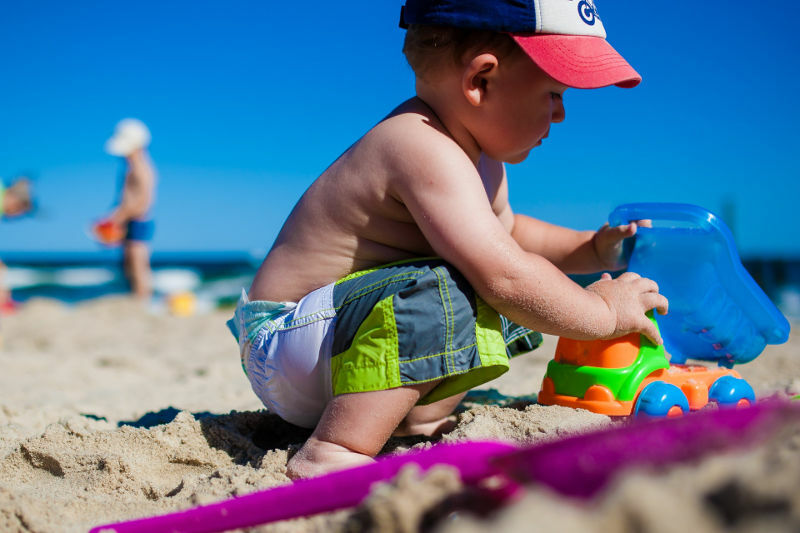 Remember to have a bucket and spade packed for each child as well as a fishing net if the beach you’re going to has rock pools. If you do a bit of research on the beach before you head off you can find the cheap/ free places to park or the quieter bits of the beach that will be free of the temptations of the arcades. If you can’t avoid the arcades then remember to take all your 2p’s with you and limit them to those machines. Still lots of fun especially for the younger kids. Paddling in the sea, collecting shells and rock pooling are all good fun and cost nothing so encourage your kids to go and explore. Just remember to take sunscreen and hats (and waterproofs) as you never know when the weather might turn. 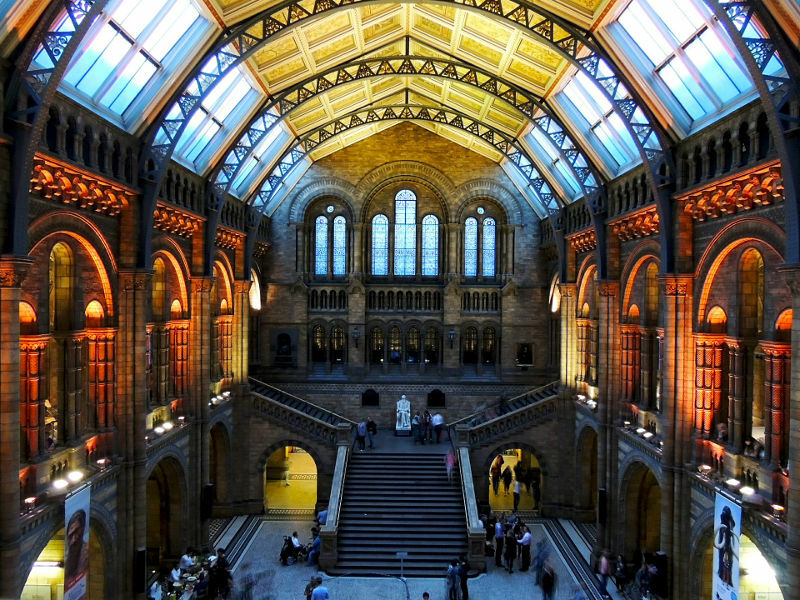 There are so many free museums and galleries to visit that we have done a round-up post of all our favourites. Most cities and towns will have somewhere free for you to visit and a lot of them will have free activities on during holidays and weekends. 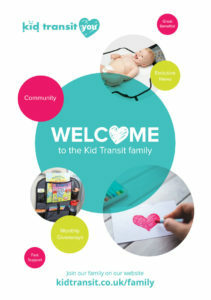 Even if there isn’t an event on, a lot of them will have trails or activity sheets for you to pick up for your kids to complete as they go round. Check to see if your local gallery or museum has something on during term time for your younger kids. In Hull where we live, there are a couple of free playgroups that have toys to play with and even a free drink and a biscuit to keep your kids amused for a couple of hours. Charity shops and flea markets are fascinating treasure troves for all generations. Perfect for children who love dressing up, as well as inexpensive if they do spot something they love. Meanwhile, do a good deed and get some of the older ones to donate some of their unused clothes and toys to the shop. Car boot sales are also great for browsing and quite often have toys that are good quality and cheap. 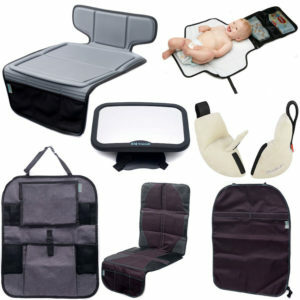 You could even make money by having a clear out of your clutter and getting your kids to run the car boot sale. Lots of fun designing signs and pricing up items as well as selling everything on the day. Decide beforehand how the profits will be split after the car boot sale is over to avoid any arguments! For slightly older children, joining a local community group can be the key to finding a new hobby and group of friends. Take a look at the vInspired website to see if there’s something nearby to you that they would want to be involved in. 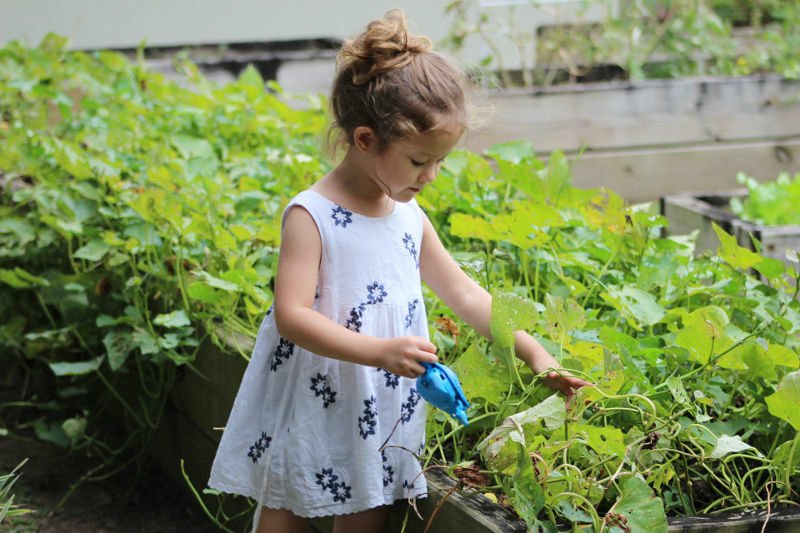 For younger kids, things like community gardening groups can be great for a day out. Your kids can learn all about gardening as well as having fun getting their hands dirty as you help make the area greener. 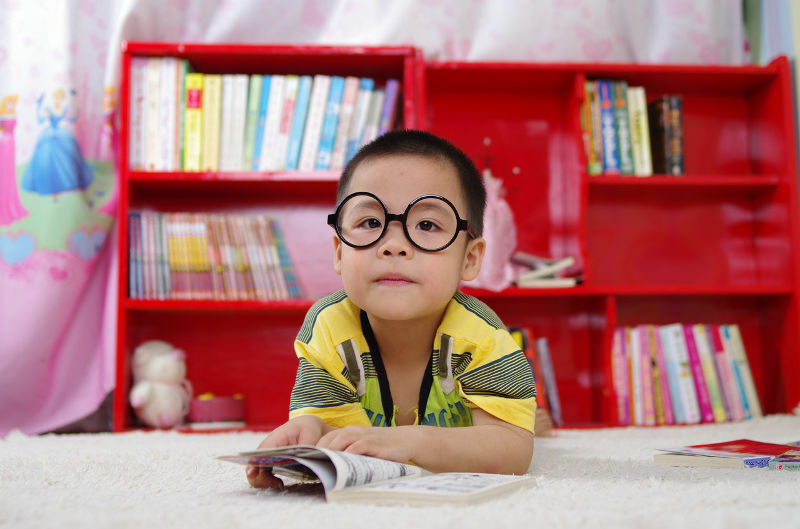 Local libraries regularly offer free child-friendly workshops during the school holidays and on weekends, which are ideal for introducing your children to new friends and hobbies. The library also offers a space for a quiet afternoon of reading and playing and all you have to do is become a member – which costs nothing. Our local library has (along with books), toys for younger kids to play with, drawing sheets and pencils, and computers that are only to be used by children. It also runs a weekly singing session for babies and toddlers- all completely free. Geocaching is a worldwide treasure hunt that anyone can join in with. You just need to download the free app from the geocaching website and you are good to go. Follow directions on the map on your phone to find where there is a hidden geocache (a little box usually with something inside and a log book) then mark your details on the log book. You can then record on the app that you have found the geocache and find directions for another one! Your kids will love following the maps to find the geocache to the hidden treasure and it gets them exploring places where you live that you might never have discovered before. You can even set up your own geocaches for other people to find. If your garden is big enough (or you have friends or family who are willing to loan theirs) then a backyard camping trip is free and massive fun. All you need is some kind of shelter (it doesn’t need to be an expensive tent), something to cook on and some fun garden games to play. If you time this for late afternoon/ early evening your kids will enjoy setting up the tent, cooking some food and then reading books or telling ghost stories as the night draws in. 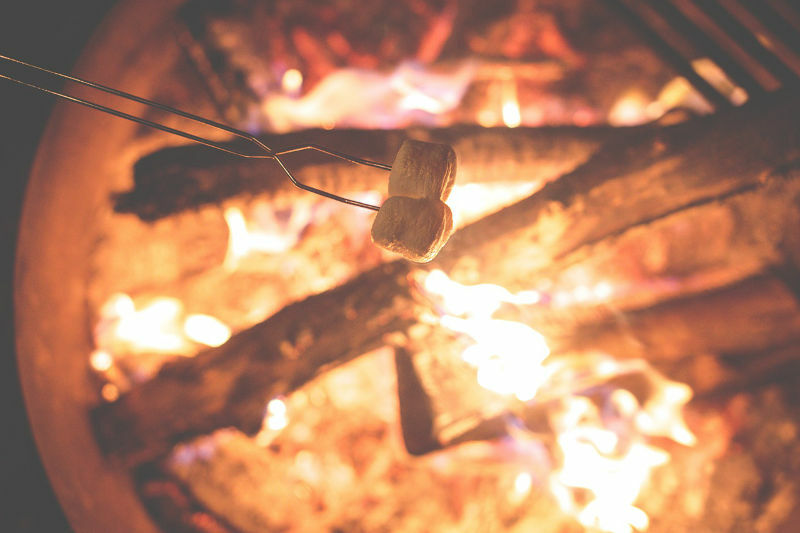 Marshmallows or s’mores are a lovely treat and can be cooked over flames. Campfire songs are great fun when you’re sitting around a firepit or chimenea (just make sure you take all the recommended fire safety precautions). You can even camp out overnight to add to the fun. If your shelter isn’t waterproof make sure the weather is going to stay dry all night! A family bike ride is a classic day out that everyone can enjoy. Even younger kids can be taken along if you have a child seat on an adult bike or a suitable bike trailer. Get older children to plan the route they want to cycle- help them out by taking a look at any cycle paths nearby to make the journey easier. If you have panniers or even just a backpack you can make up a picnic to take with you so you can be out all day. Remember to take enough water and sunscreen if you’re going to be cycling for a while. The Pokemon Go craze started a few years back and is still hugely popular with children and adults. You need an app downloaded onto your phone and with that, you can go out catching Pokemon in your neighbourhood. Instead of it being a traditional computer game where your screen displays the game world, with Pokemon Go you actually need to be walking around and that becomes your game world. Different Pokemon can be caught in different places and battles can be fought in particular spots. You just need to go outside and find them! As well as being free to do it may be a good way of getting your computer game loving children outside for a bit of fresh air. Have you got any more ideas about fun and free family days out? Get in touch on our Twitter page or leave a comment below.